What does $1,300 rent you in Evanston? We've rounded up the latest rental listings via rental site Zumper to get a sense of what to expect when it comes to hunting down housing in Evanston if you've got a budget of $1,300/month. 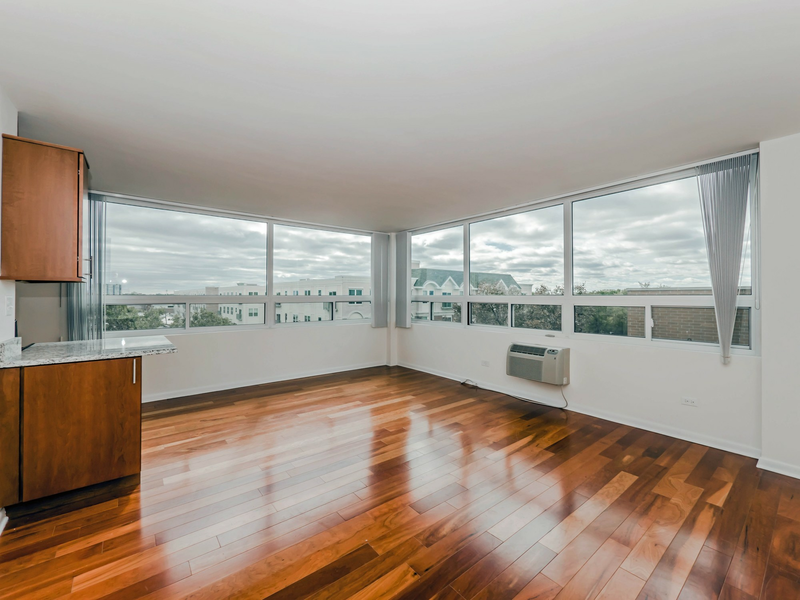 Listed at $1,295/month, this one-bedroom, one-bathroom apartment is located at 941 Chicago Ave. The apartment offers central heating, hardwood flooring, a ceiling fan, stainless steel appliances and granite countertops. The building has on-site laundry, a fitness center and extra storage space. Cats are welcome. According to Walk Score, this location is extremely walkable and has good transit options. Next, there's this one-bedroom, one-bathroom over at 800 Custer Ave. It's also listed for $1,295/month for its 750 square feet of space. The building offers on-site laundry, extra storage space and assigned parking. In the apartment, anticipate air conditioning, a mix of hardwood floors and carpeting, a dishwasher, wooden cabinetry, a walk-in closet and granite countertops. Cats are permitted. According to Walk Score's assessment, this location is quite walkable and has good transit options. Here's a studio apartment at Hinman Avenue and Kedzie Street, #805, that's going for $1,265/month. In the unit, you'll get hardwood flooring, air conditioning, a dishwasher, stainless steel appliances, granite countertops and wooden cabinetry. The building offers on-site laundry, a fitness center, a roof deck, an elevator, on-site management, a sundeck and assigned parking. Pet lovers are in luck: cats and dogs are permitted. According to Walk Score's assessment, this location is friendly for those on foot and has some transit options. Located at 804 Elmwood Ave., #2S, here's a one-bedroom, one-bathroom condo that's listed for $1,250/month. In the unit, you can anticipate hardwood floors, stainless steel appliances and wooden cabinetry. The building has on-site laundry, available garage parking and extra storage space. Good news for canine lovers: small dogs are welcome upon the landlord's approval. Per Walk Score ratings, the surrounding area is friendly for those on foot and offers many nearby public transportation options. Listed at $1,225/month, this 900-square-foot one-bedroom, one-bathroom unit is located at 380 Ridge Ave., #13-3. Apartment amenities include hardwood floors, high ceilings, a ceiling fan, a dishwasher and wooden cabinetry. The building features on-site laundry, outdoor space, extra storage space and secured entry. Pet lovers are in luck: cats and dogs are welcome. According to Walk Score, this location is moderately walkable and offers many nearby public transportation options.